The market is finally heating up in the East Valley and some key Gilbert neighborhoods in particular after a very long recession. 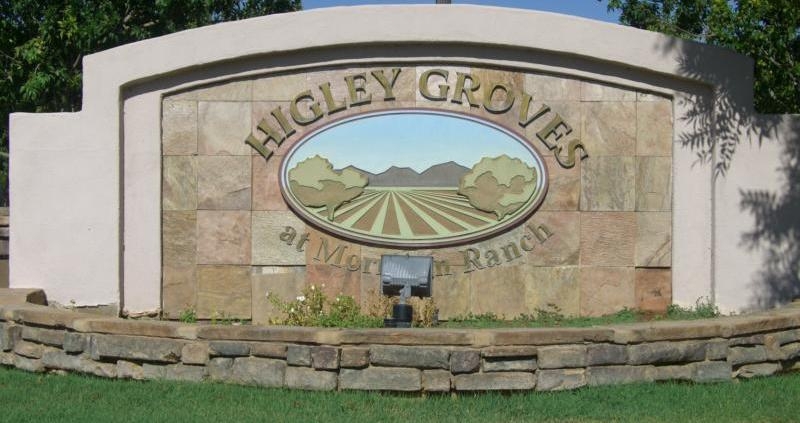 Example – Higley Groves in the eastern part of Gilbert. We are at a unique transition time in the market, with inventory at an all-time low and demand starting to increase. Gilbert Homes are either selling in 30 days or sitting on the market for over 3 months. There is not much in between. So why are some homes selling with multiple offers and others languishing unsold? The bottom line is that buyers might be suddenly ready and able to buy BUT – they want perfection, a great deal or both. Hence, you have to make today’s buyer choose your home over the waiting game. Brisk as this market might be, there are still many buyers willing to wait for “just the right home at the right price.” This is where we step in. Below is a quick rundown of the steps that we go through with our clients to make their home stand out. Create an Emotional Connection Between the Perspective Buyer and Your Home: Many of you have heard about agents making sellers bake cookies before the open house. Sounds cheesy, right? But most people love the smell of warm chocolate chip cookies. Why would someone leave their current residence? They leave because they want a dog, a yard and a gourmet kitchen of their own to bake cookies. They want a home! There are numerous ways to do this besides cookie baking but do it you must to create that special connection. Create an Outdoor Sanctuary: If you’re like most people, the ability to escape from the hectic world into your outdoor home is a pastime that you look forward to daily. Your outdoor Gilbert home is an opportunity to enjoy nature, get fresh air, and retreat to a sanctuary that is truly yours. From relaxing furniture and ambiance lighting at night, to heavenly outdoor luxuries that can truly make your outdoors feel like you are inside. Make your Kitchen/Bathroom Pop: You do not have to spend a lot of money but even a minor sprucing up of a kitchen can make all the difference. Today’s buyers are very conservative and have limited funds for remodeling after making a purchase. New paint, new counter tops or even just updated appliances can make all the difference in creating that emotional connection between the home and the targeted buyer. Price at Market Value: The last ten years we have experienced huge market surges followed by a market crash. Although all indications show we are on our way to a stable market, price is still key. Pending sales might be on the increase but so are the number of homes with price reductions, which means there are still sellers chasing the market down. Do you want to be the home that sells in 30 days or the one that sells in 90 days at a below market value? Perfect Marketing: Innovative Real Estate team works closely with our Gilbert Sellers to create a story around the home and to connect that home to its potential new owner. Most people think that all it takes to sell a home is some pretty pictures and MLS number. In reality, you have to create emotional value through the marketing to reach real estate brokers and then their buyers. We do this through a multiple of different streams. The most important aspect for us is the work we do with our Photographer. It is easy to take a nice picture of a pretty kitchen but there is real skill in photographing homes. The photos make our homes stand out from the crowd and we use them in all of our marketing. They are perfect at capturing our vision so that we can communicate it through our print, online and social media marketing to the right buyer for each home. Every home and neighborhood is different. You may need to sell down the road or are just curious about what is going on in your neighborhood. Give the Innovative Real Estate team a ring and we can help you figure out what the next steps are for you and your family for your Gilbert home. One of my favorite things I love about Gilbert and Arizona in general is the weather. 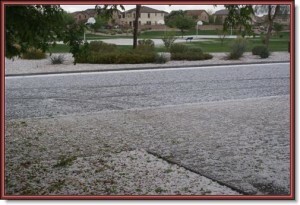 Yesterday’s thunderstorm in Gilbert produced some good size hail up to 3/8 inch diameter. Hail blanketed my entire neighbor. I thought I would have to dig out my truck 🙂 My two sons (Colin 4 and Christopher 1) had a blast playing in this nice icy surprise. From snowballs fights to snowmen their winter wonderland lasted for about an hour. Just long enough to wear them out before nap-time. Arizona is known to be hot and dry, but what a lot people outside the state don’t realize is that Arizona’s climate is actually quite varied. While here in Gilbert we are basking in mild weather with cool breezes in January, people up in Northern Arizona may be flying down one our states ski slopes experiencing a cool snowy day. And in the summer, here you could be working on your tan poolside, while folks in Northern Arizona will be putting on their sweaters and enjoy the cool night air. Anytime you visit Arizona, you will find beautiful, perfect weather somewhere! As the weather starts to warm up the housing market does as well. We have a great search tool here that allows to search the ARMLS (Arizona Regional Multiple Listing Service) with restrictions or need to sign up. Take a look and find you next Gilbert home. Take advantage of that Arizona has to offer. Gilbert, AZ New Builds Are Picking up! The new home market in Gilbert has been showing signs of life lately. Many future home buyers are now going out and viewing model homes in the new communities around Gilbert. I frequently talk with the onsite sales people in these communities and have been getting very positive feedback about their upswing in recent activity and home sales. The low inventory of resale properties available in has contributed to many home buyers turning towards the new home market to find their next property in Gilbert, AZ. In my visits to the new home communities around Gilbert I have noticed several of the local builders have also started to raise their home prices. 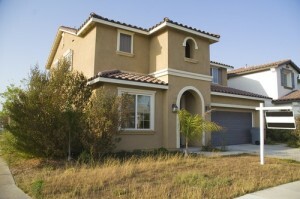 Recent real estate reports on the new home market have shown positive signs for 2012 and beyond. The price increases show the confidence that the builders currently have in those real estate forecasts about the new home market. 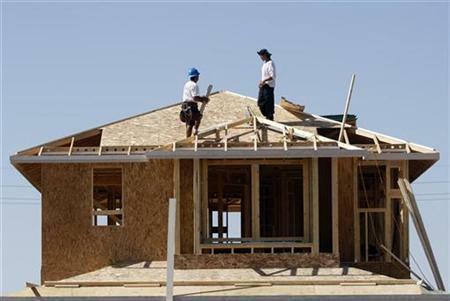 Most new home builders here in Gilbert feel they have turned the corner on their downward trend and expect this increased business to continue throughout the coming year. Mom and Pop investors are seeking to maximize the depressed real estate market (including Gilbert, AZ) with the idea of one day being in position to profit. A write-up in USA Today highlights this new type of small-scale investors who choose to purchase and hold properties, as an alternative to the high-dollar large investment businesses that once dominated the housing market who preferred to purchase and flip their investments. For “mom and pop investors,” the tactic is to shop for homes at rock-bottom prices, rent the them out to cover all of their costs of owning a home for some time, and then eventually sell the homes when prices recover. Investors purchased greater than 26 % of single-family homes and condos in 167 U.S. markets inside the first nine months of this past year, according to data furnished to USA Today. For investors from the rental market, an 8 percent annual return is pretty normal, says experts .That implies that a person that buys a $100,000 home- and pays all cash – makes $8,000 annually after expenses, including maintenance and taxes notes the USA Today article. Obviously, the threats of tenant and maintenance issues has the possibility to derail that potential profit, so investors should be cautious before leaping in, some experts warn. Gilbert, AZ is no different. I am finding that many of my new investors are looking to retire in a few years and buying a one or two homes to rent out. When the Gilbert, AZ real estate market changes they will sell their investment homes as part of their diversified retirement plan. Gilbert Foreclosures and how to increase your odd in buying one these homes. As of today there are 68 active Bank Owned( REO ) homes for sale in Gilbert, AZ. They are not always easy for an average Gilbert home buyer to get. Sometimes these homes can sell for as much as 34 % lower than traditional home sales. These bargain prices are bringing in investors and cash offers, which can make it harder for the average home buyer to win these bids. 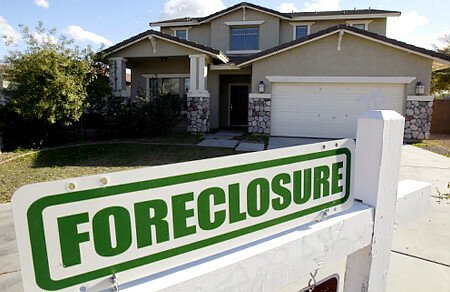 How can the average home buyers compete for these Gilbert foreclosure? Check out the First Look program: The First Look program offered by Fannie Mae and Freddie Mac’s gives the first-time home buyers, owner-occupant and others who are financing for their primary residence the first chance to see bank-owned homes before investors. These Buyers have up to 15 days to submit offers before investors are allowed to start bidding. Make a competitive offer: Home foreclosures priced below the market value can be in high demand and draw in multiple bids. Low-ball offers will not likely go very far. I believe you should start with your best offer. Offer the most you feel comfortable with. You would not want to lose your dream home over a couple of hundred dollars. Make a large earnest money deposit: If want to get the banks attention and show the you are a serious buyer, you could offer a larger than normal good-faith deposit. The only drawback is if you back out of the deal for some reason, you may be at risk of losing your earnest money deposit. Even if you really want the home, don’t fall for unreasonable demands, like waiving a home inspection. That could be a decision you end up regretting if your new Gilbert home is riddle with problems. 4 Simple Questions to Ask Before Buying Your Gilbert Foreclosure. Gilbert Foreclosures can be huge deals but, buyers should be careful that they don’t get in too deep purchasing a home that may need more fixing up than they planned for. Foreclosures are typically sold as-is meaning as you see it. When a property owner wants to sell “as-is” it means that the owner does not want to make any repairs or give credits towards repairs. These homes usually have been vacant for quite some time and have a lot of maintenance issues. 1. How many days has the home been vacant? Be careful of a foreclosed home that has been empty for more than a few weeks or the utilities have been turned off for any extended amount of time. Home can deteriorate quickly when power and running water have been shut off for a while. 2. When was the house built? Older homes may have a bad or soon to be bad plumbing system or failing electrical wiring. 3. What is the general appearance? 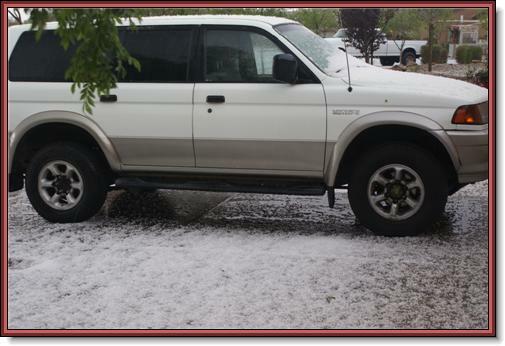 Are there smashed windows, missing roof tiles, or damaged siding? Trust your gut. If the home looks bad from the outside, it is more than likely worse than you think. 4. What is missing in or around the house? Former owners may have remove or sold anything of value from the home, examples: light fixtures, tile, built-in appliances, water heaters, AC units, and Pool filters. I suggest all buyers to get a home inspector to look over any property especially Gilbert Foreclosures, even if it is sold as-is, so that home buyer knows of any problems and how much it will cost to repair before they purchase the home. For a professional and reliable home inspector I highly recommend Orlin Egbert with Home Advantage Home Inspections. Purchasing a Gilbert bank-owned home can provide you the opportunity to enter the Gilbert Real Estate market at a lower price range and you can find fantastic deals with foreclosures, especially if they are not in too bad of shape. But, remember, these homes are discounted for a reason. With a little work your Gilbert home will be ready for showings. It will greatly increase its value and shorten your time on the market. Be proactive by organizing for a pre-sale home inspection. For $250 to $400, an inspector will warn you about troubles that might make possible buyers balk. Make repairs before putting your house up for sale. In Gilbert, AZ, you may have to disclose what the inspection turns up. If your Gilbert your house inspection uncovers necessary repairs you cannot afford, get estimates for any work. The figures may assist buyers evaluate if they will be able to afford the home and the repairs. Also locate your warranties, guarantees, and user manuals for your appliances that will be sold with your home. Not every repair costs a lot of money. Fix as much of the small problems—sticky doors, torn screens, cracked caulking, dripping faucets—as you can. These may appear trivial, however they’ll give buyers the sense your home isn’t well-maintained. Clear your counters of pretty much everything. Clean your closets by packing up little-used things such as out-of-season clothes and old toys. Install closet organizers to increase space. Put a minimum of one-third of your furniture in a storage unit, especially large pieces, like entertainment centers and large televisions. Pack up family photos, knickknacks, and wall hangings to depersonalize your house. Store the belongings you’ve packed offsite or perhaps in boxes nicely arranged within your garage or basement. 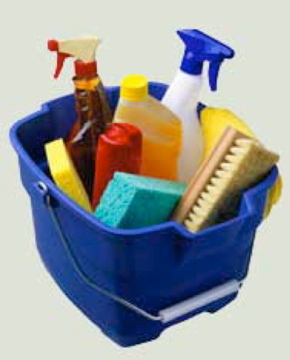 A spotless house makes a powerful first impression that your Gilbert house is well maintained. If you are able to afford it, consider employing a cleaning service. If not, scrub the windows and prop them open to air out your rooms. Clean your carpet and drapes to get rid of cooking odors, smoke, and pet smells. Wash all lighting fixtures and baseboards, mop and wax floors, and clean your stove and refrigerator inside and out. Pay close attention to details, as well. Wash smudges from light switch plates, clean inside the cupboards, and polish doorknobs. Don’t forget to scrub your garage, too. If you’re ready to sell your Gilbert Home or would like more information please give one of our agents here a call. 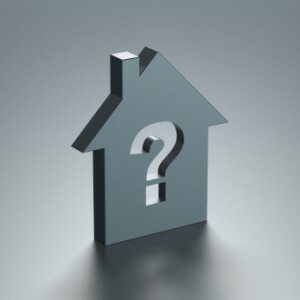 Is There a Shadow Inventory Waiting In The Gilbert Real Estate Market? Shadow Inventory Waiting In The Gilbert Real Estate Market? Recently, I attended a Real Estate Summit about what’s ahead for the Gilbert real estate market and the rest of the valley. One of the more accomplished speakers at the event was Michael Orr publisher of the Cromford Report and ASU Real Estate Analyst. Senior Vice Presidents from both Wells Fargo and Chase were also on hand to give their take on what the banks are planning and to answer questions. I’d like to share a few points discussed at the event that I think are important to Gilbert home buyers and sellers. One of the more interesting topics was about whether or not there is a so called “shadow inventory” that we’ve been hearing about for years. Many people have heard that the banks are sitting on foreclosed properties and could at some point flood the market with them causing even more problems for our Gilbert real estate market. This has caused a lot of uncertainty for Gilbert home buyers wondering if a better deal could be had down the road. According to event speaker Michael Orr that is just not true. Although he says the banks do have some properties being held back in their inventory, it is nowhere near enough to cause any disruption in the current market. His feeling was that even if the banks released every single property they had in their inventory, we would still have a shortage of properties on the current market. The representatives from the banks also concurred with Mr. Orr’s statistical data. The shortage of Gilbert homes on the market that we are currently dealing with is expected to continue at least through the spring if not longer. Pricing hasn’t been greatly affected up to this point but the longer the shortage of inventory continues the greater chance of future price increases. Interest rates and home prices are still great and there may not be a better time to get out there and find your Gilbert dream home. Better days ahead for the Gilbert housing market? I think so. I foresee a few things developing in 2012 that will most likely help our Gilbert residential real estate market finally start moving to recovery mode. I stated in any earlier post that “The Federal Reserve revealed that until 2013 the short-term interest rates will remain right around zero.” I predict that Gilbert Home prices will stabilize and start to rise by the end of the 2012. There’s no doubt the Gilbert housing recovery will be take some time, but I see the turn-around starting already. 1. Home sales will be on the rise. 2. An increase in inventory. 3. Distressed properties will make up around half of all sales. 4. A well needed improved short sale process will form to help more home owners avoid foreclosure. 5. Investors will buy 25 percent of homes. For more information on Gilbert Homes please contact any one of our agents here at Innovative Real Estate Team. Changing jobs before or during the loan process can create a real problem in qualifying you for a loan, particularly if that job is in a different line of work or at a lower rate of pay. Your loan officer will advise you if it is necessary to pay off bills to help you qualify for a loan. Many borrowers make the mistake of buying a new car, some furniture, or making another major purchase without realizing the impact it can have on their ability to buy a home. It is best to leave your money right where it is until your loan is closed. Moving your money to a new bank or even into a new account can wreck havoc with the verification process. Gilbert is a wonderful place to live. 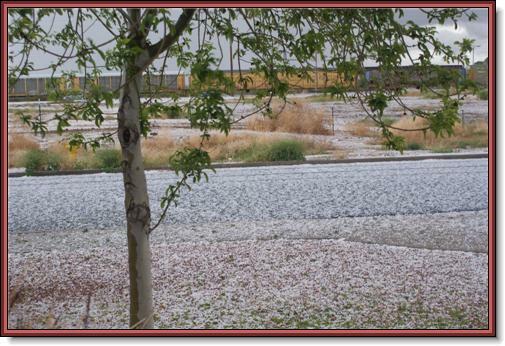 Remember when choosing a home in Gilbert Arizona contact one of our agents at Innovative Real Estate Team. We will find your Gilbert Dream Home. A positive housing report came out today. The report stated that more Americans are poised to buy homes. The National Association of Realtors says its index of agreements to buy homes jumped 7.3 percent this past month. 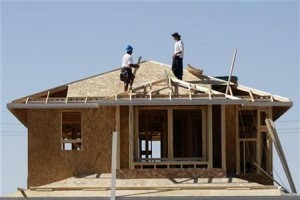 This news is an encouraging signal for the overall economy and the housing market going in to 2012. The positive housing news sent the stocks of home builders sharply higher. Masco Corp. soared over 5 percent, and was the largest gainer in the S&P 500. PulteGroup Inc. and Lennar Corp. both rose above 4 percent. Gilbert continues to grow at the fastest rate in the region and has received 41 percent more new home permits as of this November compared to this time last year. Gilbert’s rental market continues to post gains. It is believed that 2012 will be noted as The Year of the Landlord. In Gilbert rents are rising, vacancies are falling, household formations are growing and rental supply is limited. These Gilbert, AZ rental homes are going quick. I believe the demand for rental properties will continue to grow. With homeowners losing their homes to the banks or short sales they are being forced to rent. Vacancies of rental homes in Gilbert ,AZ fell and rental costs are also on their way up. 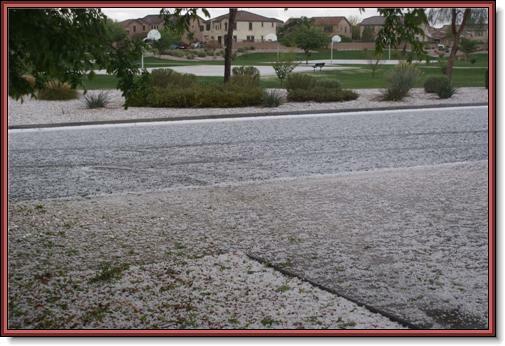 I think it is a great time to invest in Gilbert Arizona Rental Homes. For more information on Homes For Sale in Gilbert, AZ contact one of our agents here at Innovative Real Estate Team. Listing prices have been on an upswing in Gilbert the last few months. For almost 3 months now prices have been on a clear upward trend. In a recent analysis of the housing market, the Phoenix area came in at number 2 in a top 10 list of the largest median list price increases nationwide. There was a month-to-month increase of 4.46% and a year-over-year increase of 10.54%. 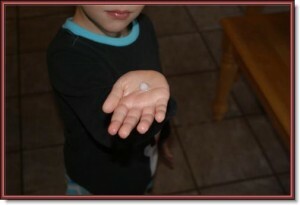 These are continuing signs that the housing market is recovering and pointing towards good signs for 2012. The low inventory of homes in Gilbert and the reduction of foreclosures are also putting upward pressure on home prices. These are trends that Gilbert home buyers who are still sitting on the fence need to keep an eye on. Interest rates are still very much in the favor of Gilbert home buyers. Interest rates for 30 year fixed mortgages fell to a record 3.91% this week, third time this year that rates have hit new lows. The Federal Reserve reaffirmed its pledge to keep interest rates low and decided not to take any new measures to hinder the economy. The decision was made because the economy seems to be “expanding moderately.” There has been some improvement in employment and customer spending in recent weeks, but the housing sector remains depressed. 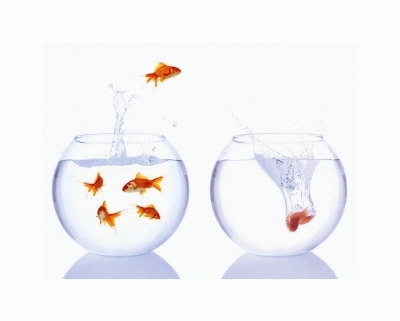 Benchmark rates for many loans including mortgages are expected to remain near zero until mid 2013. The Fed plans to move 400 billion dollars of its bond portfolio into longer term securities. This could ultimately lower long term interest rates. According to the Fed, the economy has been showing signs of improvement and should show stronger gains in the final months of 2011. They also caution the European debt crisis will continue to pose threats to recovery due to strains in global financial markets. Gilbert’s unemployment rate is down to 8.7, interest rates are at record lows, and housing is more affordable than ever. Now is the perfect time to become a Gilbert resident. Are you having trouble getting in to the holiday spirit? Then take an ride and visit the McNamara’s Family Home in Gilbert, AZ. Once there you will witness one of nicest Holiday Light Displays in Arizona. I started driving by the McNamara’s home a few Christmases ago when they lived in Queen Creek, AZ. Last year they moved to Gilbert, AZ and brought their wonderful light show with them. This year they have the participation of 3 of their neighbors. They incorporated the neighbors’ homes into their Christmas Show. The display now features 4 homes, 45,000+ lights, leaping arches, a mega tree and 2 snow machines on the roof all programed to 5 animated holiday songs on 93.9 FM Radio. Their Christmas lights are a unique way to bring joy to everyone that passes by their Gilbert home. Last year they raised $1,365.99 for Make-A-Wish Foundation and over $2,500 in the past 2 years. Gather the family, hop in the car, take that ride to 3642 E. Comstock Dr. Gilbert, AZ 85296 and enjoy the show. What a great display of holiday spirit, a great cause (Make-A-Wish Foundation) and a great addition to the Gilbert Community. Thank you to the McNamara family. My family and I appreciate what you do. Gas Prices In Gilbert Drop to a 10-Month Low! Arizona gas prices hit a 10-month low on Thursday. Residents of the state are paying an average of $3.19 per gallon. It is the 7th week of decreases. Gilbert and the East Valley averages $3.15 per gallon. The United States average fuel price increased 0.03 cents to $3.29 per gallon. Tucson and flagstaff hold the low and high state fuel averages. Tucson at $3.29 and Flagstaff at $3.94 per gallon. In the United States New Mexico and California hold high and low price extremes at $3.33 and $3.62 per gallon respectively. Current market factors such as sagging demand, which is typical this time of year will likely help retail prices sustain a multi-month low through the Holiday Season. Getting a pre-qualification letter is much easier to get from your lender. You just need to give your lender some basic financial information and usually in a short period of time the lender can email or fax you your pre-qualification letter. A pre-approval letter would require you to supply your lender with more detailed information. The lender will also need to verify this information. You will need to supply your lender with documentation to verify information such as your employment, how you will come up with your down payment and other aspects of your current financial situation. The pre-approval process does require more effort but the benefit is having an offer that will give Gilbert homes sellers more confidence in your ability to obtain financing than an offer submitted by a buyer with just a pre-qualification letter. This could be the edge that gets your offer accepted in a multiple offer situation. You will also have much more solid understanding of how much money you can qualify to borrow because your lender has been able to view your financial situation in greater detail. Your Realtor can then target the Gilbert homes that match your needs and fit within your price range. A few things you should be aware of: Pre-approval letters are not binding on the lender and are time-sensitive. If your financial situation were to change such as a job loss, you make a large purchase like a new car, run up credit card bills or interest rates rise, your lender will need to review your situation and recalculate your maximum mortgage amount accordingly. No, I’m not Psychic. It seems the Federal Reserve is looking into the idea of taking their once private forecast of interest rates and opening it up to the masses. The Federal Reserve revealed that until 2013 the short-term interest rates will remain right around zero. The New York Times reports that If the Federal Reserve chooses to move forward with their public predictions, it would forecast the direction interest rates are going for the next 3 years. It is believed that it would be almost like the quarterly forecasts it currently makes public about economic growth, unemployment, and inflation. So, let’s hope their predictions for interest rates are correct and save us all a little money this new year. If you are or know of someone looking to buy or sell a home in Gilbert, AZ or the East Valley please contact one of our agents here at Innovative Real Estate Team. We are here to help. I am expecting the Gilbert housing market to see a trend towards more short sales in 2012. Banks have been streamlining their short sale process and I am expecting that refining to continue. The improvements in the short sale process by the banks will have an effect on the volume of foreclosures. Gilbert home buyers will notice a decline in bank owned properties and an increase of short sales entering the Gilbert market. Buyers and sellers should notice a much smoother and quicker transaction when negotiating with banks on short sales as the banks continue to improve the short sale process. Although much better, this process is still not perfect. It is still very important to work with a Realtor, who has the knowledge and experience to know which short sale properties may be difficult to obtain in a timely manner. Some of the more difficult short sales to negotiate are properties with multiple loans and or lenders. An experienced Realtor will have the knowledge of which banks have improved their short sale process and turn-around times. Make sure to consult with a local Realtor who is familiar with the Gilbert housing market. Fannie Mae is giving Gilbert Arizona homeowners and the rest of the country in danger of losing their home a break this Holiday season. They will be putting a stop to all evictions. This is only a temporary stoppage. It seems Fannie Mae is getting into the Holiday spirit and does not want anyone to lose their home this Holiday season. This temporary freeze on evictions will start December 19th 2011 and last through January 2nd 2012. If are you are in danger of losing your home or know anyone who is please know that there are alternatives to foreclosure available. This break in evictions is only temporary but, if you are looking for a more permanent solution and are a resident in Chandler, Gilbert, Mesa or Queen Creek Arizona please contact one of our agents here at Innovative Real Estate Team and we will be happy to help inform you of your options.